Do You Get The Bankruptcy Grubstake Exemption? 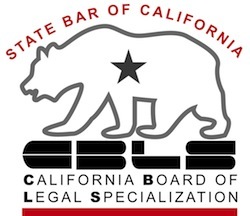 The word grubstake never appears in the Bankruptcy Code or the California Code of Civil Procedure where the exemptions available in bankruptcy cases filed in California are found. Yet every bankruptcy lawyer uses the phrase; and seemingly, every bankruptcy debtor struggles to understand it. Here’s the standard English definition of grubstake. 1.provisions, gear, etc., furnished to a prospector on condition of participating in the profits of any discoveries. 2.money or other assistance furnished at a time of need or of starting an enterprise. The miner’s grubstake allowed him to buy food and feed his burro while prospecting. The bankruptcy grubstake does the same: it furnishes the wherewithal for a fresh start. The grubstake exemption, sometimes also called the wildcard exemption, is expressed as a dollar amount. In a California case, that amount is currently $27,425. That’s the total of the amounts provided in sections 703.140(b)(1) and (b)(5). Here’s the Judicial Council list of exemption amounts. While other exemptions in the California bankruptcy exemption statute are limited to particular kinds of property ($1425 for jewelry, $4800 for equity in a car, etc.) the grubstake can be applied to any kind of property. More importantly, it can be divided among different kinds of assets. A person filing Chapter 7 or Chapter 13 can use part of the grubstake to protect extra value in a car; part of it for the balance in a bank account, or stocks held for investment; or part for a timeshare or business interest. Any kind of asset is fair game, so long as the total grubstake claims doesn’t exceed $27,425. The exemptions found in CCP 703.140 are available only in bankruptcy. They aren’t available to protect assets from collection of a money judgment outside of bankruptcy. The standard California exemption system is found in CCP 704. Those exemptions do apply in state law proceedings and are an alternative choice for a Californian filing bankruptcy. The debtor in a case under Title 11 must choose either the 703 or the 704 system of exemptions as a whole. You cannot combine the two systems or choose one exemption from this system and another exemption from the other system. The California state exemptions include the generous homestead exemption that protects a specified amount of equity in property used as the debtor’s home. The grubstake in the California bankruptcy exemptions is a much smaller sop to the family that doesn’t have equity in a home. One of the most important services a bankruptcy attorney provides is choosing the exemption system and allocating the grubstake among the client’s assets so as to protect as much property as possible. It’s not usually possible to select exemptions until the client has provided a list of what they own and an estimate of the present sale value of the property. How Much Cash Can You Keep In Bankruptcy?